• An exhibit of contemporary prints, “Cross Currents,” opens on Friday, May 31, and closes Sunday, June 9, with the opening reception on Thursday, May 30, from 6 to 8 p.m. A new collaboration between Sonoma County Matsuri and the Sonoma County Museum of Art, it is curated by The Ren Brown Collection and features both Japanese and American artists whose work has evolved from similar but different perspectives and life experiences. In the last 150 years, cross-currents of art concepts have flowed back and forth across the Pacific Ocean, influencing artists and their work for generations. The artists in this exhibit have discovered a clear and unique vision in the fusion of two very distinct traditions. Some of the featured artists are: Christopher Dewees, Yoshio Ikesaki, Chiyomi Longo, Mayumi Oda (pictured), Micah Schwaberow, Toko Shinoda, Hiroshi Yoshida, and Seiko Tachibana. Sonoma Matsuri and museum are already collaborating on a larger exhibit for the 2014 Matsuri. Museum admission is $7 for adults, $5 for students and seniors, free for museum members and children under 12. The museum is located at 425 7th St., Santa Rosa. For more information, call (707) 579-1500 or visit www.sonomacountymuseum.org/. 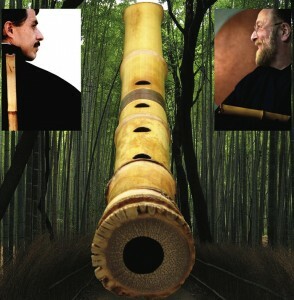 • “The Empty Bell: An Evening of Music for the Shakuhachi” on Friday, May 31, at 7 p.m. at the Church of One Tree, 492 Sonoma Ave., Santa Rosa. Doors open at 6:30 p.m.
Back by popular demand, shakuhachi grand master Riley Kōhō Lee returns for an evening of traditional and modern shakuhachi music, joined by Elliot Kallen, Naoko, and the Voices of Ten Ten Taiko. This concert promises to delight and inspire attendees. Last year’s concert with Lee and Kallen was completely sold out. Don’t miss this rare opportunity to experience music in an intimate space with world-renowned performers. Tickets are $15 in advance, $20 at the door. For more information, call (707) 575-8626 or go to www.brownpapertickets.com. • Matsuri! Japanese Arts Festival on Saturday, June 1, from 11 a.m. to 5 p.m. at Julliard Park, 227 Santa Rosa Ave., Santa Rosa. The mission of Sonoma County Matsuri is to share and promote Japanese arts and culture by providing educational opportunities and better intercultural understanding in the greater Bay Area. 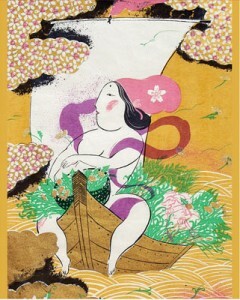 The annual event features art exhibits, Japanese clothing, Japanese food, Japanese crafts, Japanese art workshops, traditional music, Japanese folk dance, noh and kyogen theater, origami demonstrations, kamishibai theater, martial arts demonstrations, taiko drumming performances, Japanese tea ceremony, a Japanese film series, and a raffle. Participating groups include Sonoma County Taiko, Ten Ten Taiko, Cotati Aikido, Theatre of Yugen, DeLeon Judo Club, Martial Arts Academy, Traditional Aikido of Santa Rosa, and Elliot Kallen and Naoko. Sponsored by Affinity Solar Energy, Arts District of Santa Rosa, Snoopy’s Home Ice, and Sonoma County JACL. For more information, go to www.sonomamatsuri.org. Sonoma County Matsuri presents an evening featuring Manjiro Tatsumi, lead character actor of the Hosho School of noh drama and one of the most dynamic and respected performers in the Japanese traditional theater world. He is passionate about introducing his art to the world and will be presenting noh plays that have wine as a central theme in honor of his first trip to Sonoma County Wine Country. Designated an Important Intangible Cultural Treasure by the Japanese government in 2001, he has toured the world sharing his art. Joining him will be Masayuki Fujii and San Francisco’s critically acclaimed Theatre of Yugen with guest artist David Crandall. 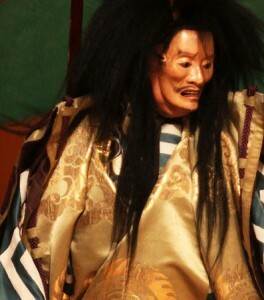 Rarely performed outside of Japan, noh drama’s roots go back 1,300 years. It is considered the oldest continuously performed theater tradition surviving today. The costumes are also works of art, exquisitely embroidered and considered some of the most beautiful theatrical costumes in the world. This is a once-in-a-lifetime opportunity for Sonoma County and the Bay Area to enjoy this ancient form of theater. Tickets are $20 in advance, $25 at the door, and can be purchased online at www.brownpapertickets.com.